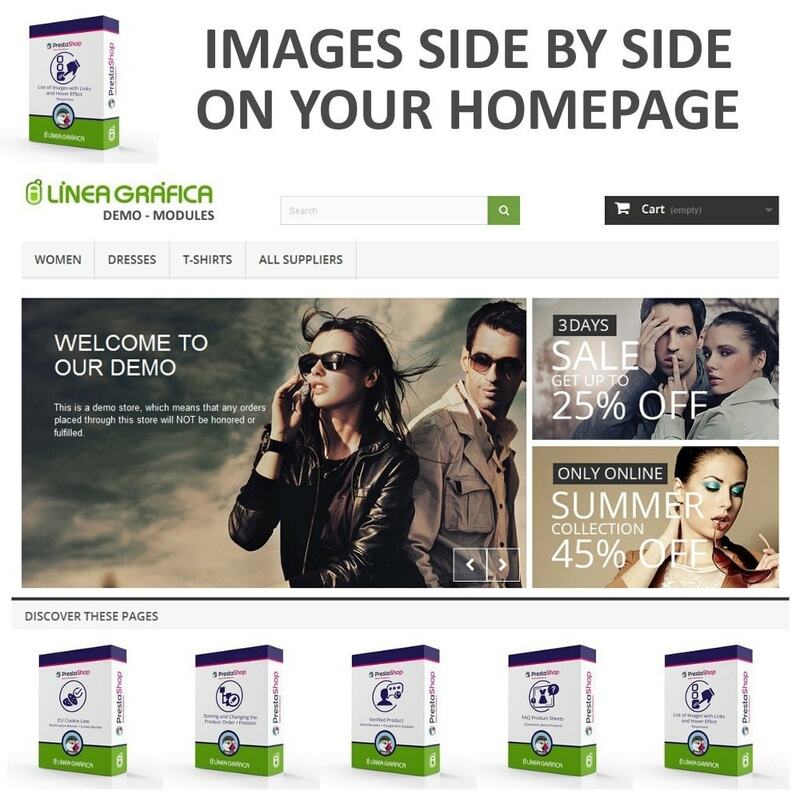 This module allows you to add a list of images / banners in your store to promote the pages of your choice. 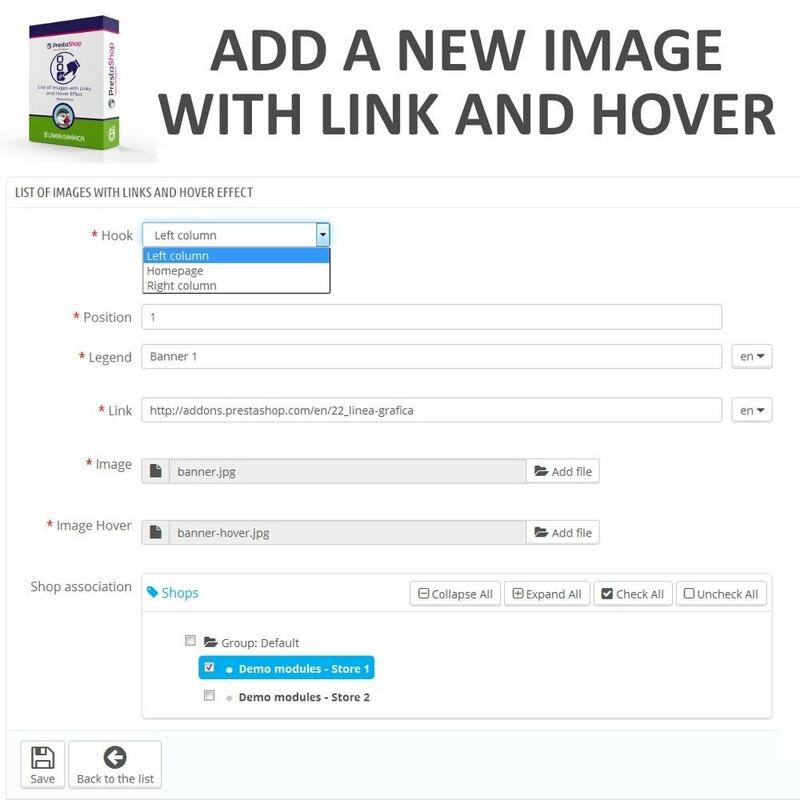 Add an unlimited number of images inside the list and assign a link to each image in order to attract the attention of your customers and bring them to the pages you want. On the homepage, all the images are displayed side by side. On the columns, all the images are displayed one below the other. 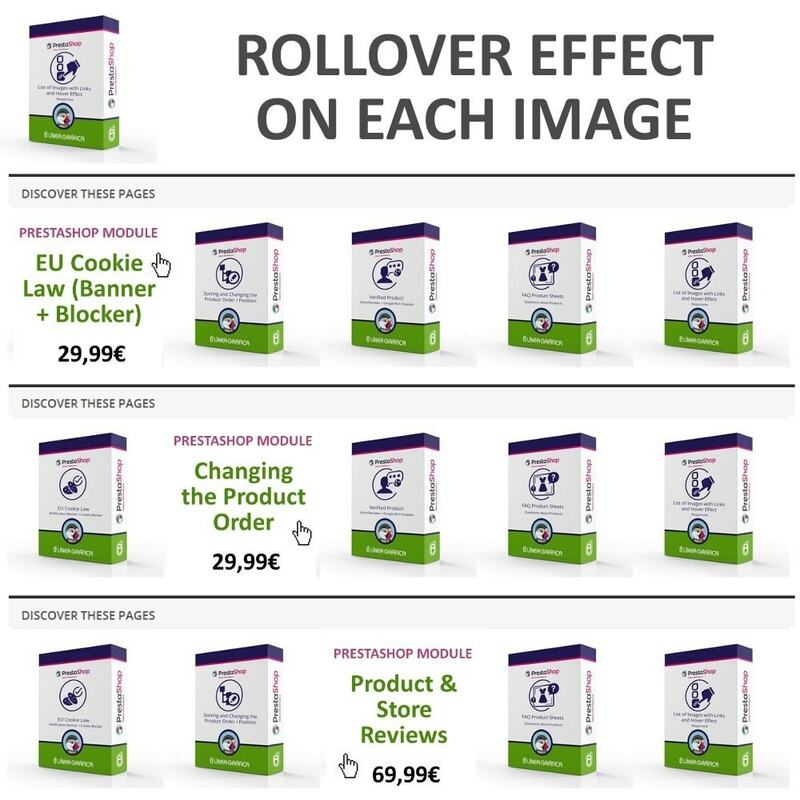 The module is responsive and make all the images responsive so that the images appear correctly on smaller screens. The module allows you to create up to 3 different lists: one in your homepage, one in your left column and one in your homepage. You can easily move it inside the hook with the Live Edit. When users move their mouse over the image, the module switches the image (you can choose the same or a different image for the hover) and automatically increases the size of the images. It makes the list of images more attractive and interactive. 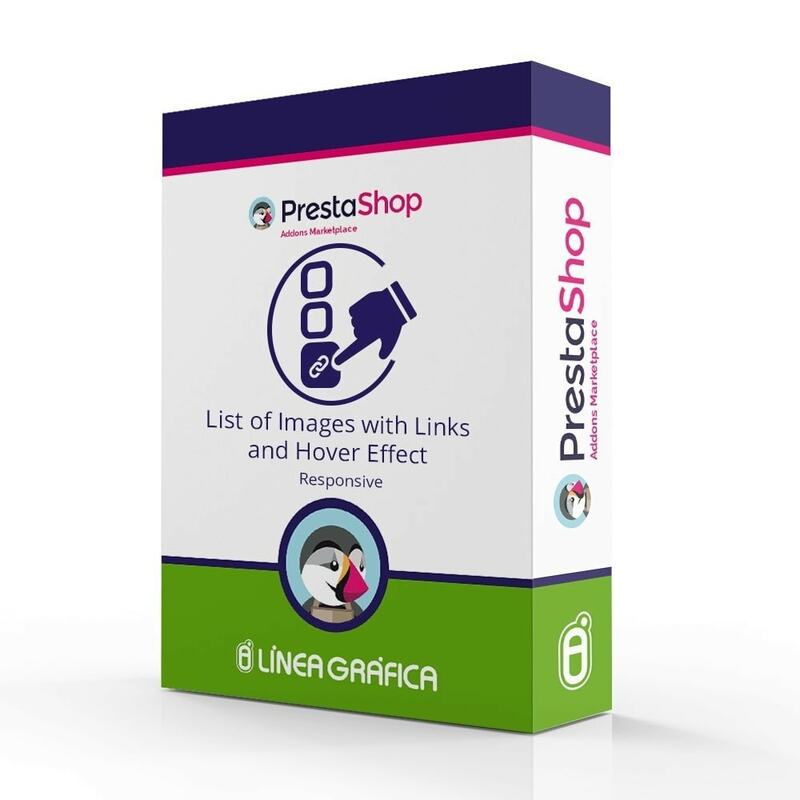 The module is compatible with multilingual store and allows you to set a different link per language for each image. Thanks to this feature, you can bring your customers to pages in their language. 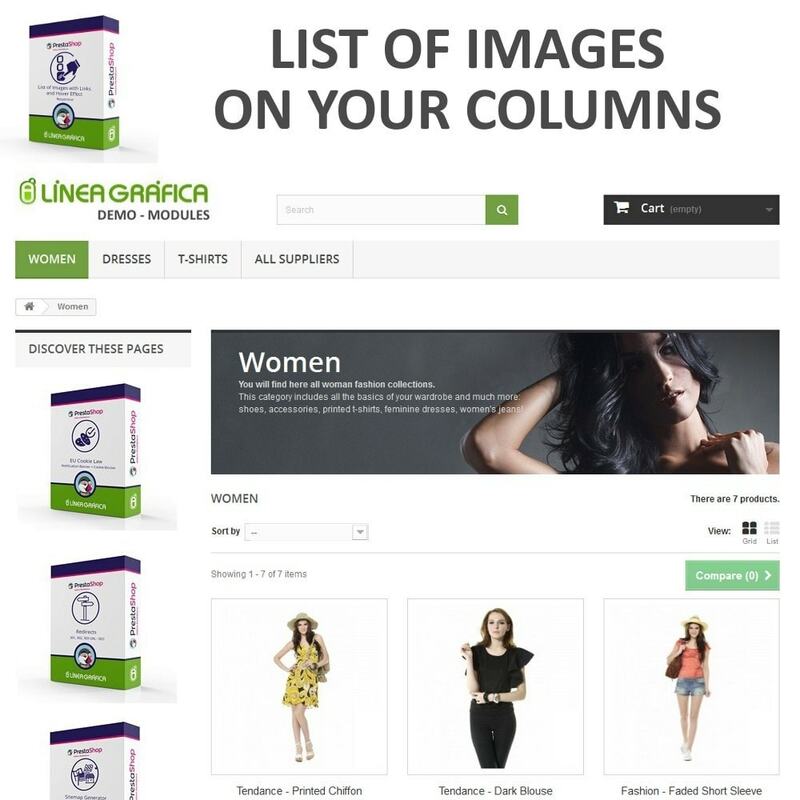 The module is compatible with multistore and allows you to display a different or the same list of images per store. If you have any questions or problems with the module, please click on Contact the developer to get in touch with us, our team of certified developers is here to help you and will do all its best to solve your problem as soon as possible. 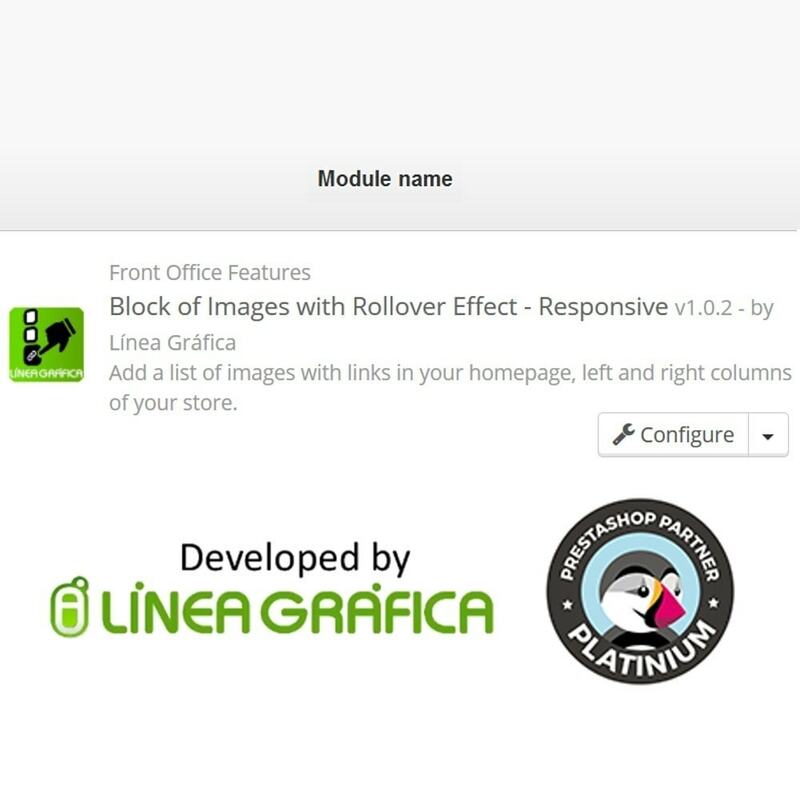 We are a PrestaShop Platinum certified agency and we provide support for all our modules in order to guarantee the good working of modules and make sure that our customers are satisfied. This module allows you to attract the attention of your customers and bring them to the pages you want. The hover effect makes it more attractive and interactive. Perfect to promote some categories, products or offers of your store.